Microgaming’s Mega Moolah slot is hailed as one of the luckiest slots around. It’s had many winners over the years, with players literally raking in millions on the progressive jackpot. And only just recently did we hear the news that two players won the jackpot within 48 hours of each other! Whoa! But there’s plenty more moolah to be won in other games, too. While Mega Moolah has now up to 71 millionaire winners, that doesn’t mean it’s the only top jackpot slot around. No siree, we’ve found some of the best, each of them offering mouth-watering jackpots. 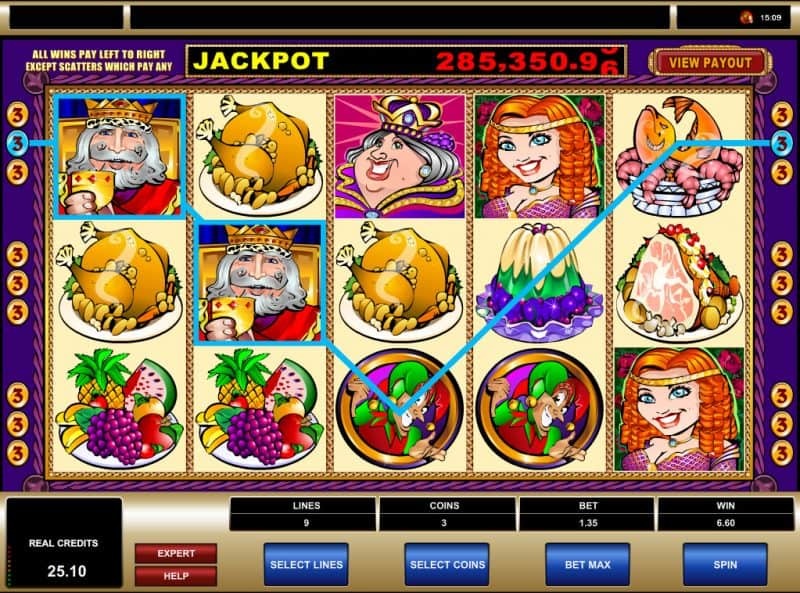 Microgaming is known for its many jackpot slots, including King Cashalot, a classic royal affair that takes place over five reels and nine paylines and focuses on the eponymous King. Land five of the King Wilds on the ninth payline and then enjoy royal riches. But what about other slots developers? Has Microgaming got the monopoly on jackpot slots? Not a bit of it. Not to be outdone, other gaming developers also have massive jackpot slots that promise life-changing payouts. Eyecon updated its Heartburst slot with Heartburst Jackpot, giving us a Mini, Maxi and Mega jackpot to get our blood pumping. Meanwhile, Blueprint surprise everyone with Top Cat. Yes, it’s a slot based on the hit cartoon show. Yes, it has loads of randomly triggered bonuses along with main bonus rounds. And yes, it’s a Jackpot King game which offers life-changing wins! Are we done yet? Nope. Even underwater mammals get in on the jackpot action thanks to Dolphin Gold Stellar Jackpots from Lightning Box. We can take a trip to the ocean depths and win one of three jackpots, including the Major jackpot which pays out 833 times our stake. Slots have big jackpots for us to play for. They vary in size, such as Dolphin Gold’s top jackpot paying out 833 times our stake. Obviously the more we bet, the bigger the reward. But the likes of Mega Moolah pays out well. Really, really well. As in over £10 million well. So it’s always worth checking them all out. Maybe you’ll be the next player in the news.